By popular demand I write this post about a very interesting and already well documented technique within Project Management; called Earned Value Management or EVM for short. In the post I will focus on EVM in combination of Microsoft Project, Project Server and Project Online, because that’s what this blog is all about.I had to do considerable research on the subject because most of my clients know about Earned Value Management but they also tend to steer away of applying the technique within the tools they use for their project. Why you ask? I’ll come back to that in the final notes. That sounds great, a way to measure progress without subjective distortions. Distortions that might provide a unrealistic view on the actual progress within the schedule. Which might lead to hidden costs and possible delay. Now this is just 1 of the definitions, but we will stick with this one for now. Let’s explore the technique in more detail, find out how to use it within MS Project and see if there are some nice reports that can be made for our managers to report on. Where appropriate I’ll link to other content on the web or insert screenshots from my own project examples. Matthew has a impressive track record, and did a great presentation on EVM at the Project Conference 2014. If you have one hour and 15 minutes to spare, here is the complete video, it’s great to listen to and most of the things I’ll talk about in this post can be found in the video as well. 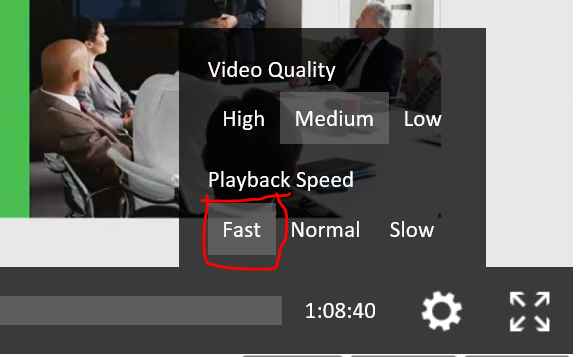 One advice I’d like to give you, set the Play back speed to fast, Matthew is still very audible and it will save you about 15 minutes of your time. Matthew did a great job at explaiging EVM in relation to MS Project. Here are some key take a way’s I got from it. There needs to be a complete baseline. In order for most of the fields that are used in EVM to actually show some data. Therefore it’s essential that there is a Baseline in place. I have discussed baselines before and you can read all about them in these 3 posts: About Baselines, Multiple baselines (Guest post) and Flaw #5. There needs to be a status date. For EVM to work you need to let MS Project know “When my schedule is up to date”. You might think this would be the current date when you look at your schedule, but what if you’re not changing anything today? Then the EVM values will be worse than actually needed because there is work in the past that isn’t complete and such. I wrote one post about the Status date before, you can find it here. Resources need to have a rate. Now the other two are relatively easy to achieve. Just a few clicks with the mouse and you’re there. But giving the resources a realistic hourly rate might take some time. Here is a nice plus if you’re using Project Server or Project Online because there will be a resource pool in place that the whole company can use in their projects. And if the company wants you to track costs, the resource rates might already be in place. If there are no rates for resources you might want to schedule a meeting with some team leads or with some CXO’s to get those rates in place because they are an essential part for Earned Value Management to work within Microsoft Project. If there isn’t such a person to talk to, or your schedule is a single entity, you might want to guestimate the rates to get some data out of the system. 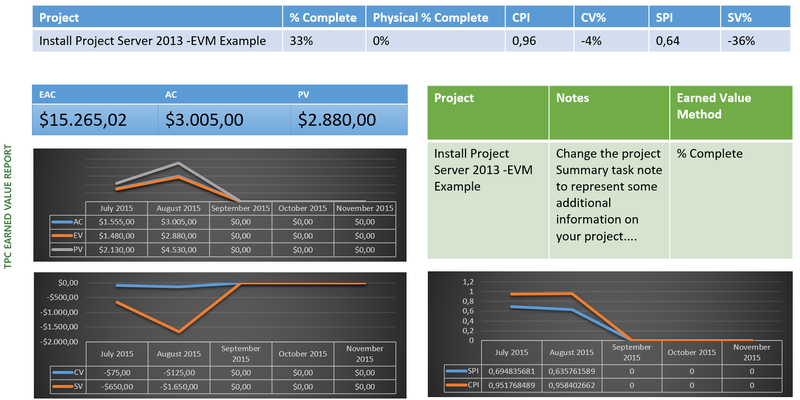 Why, oh why isn’t Planned Value (PV) just called PV in Microsoft Project? It’s called BCWS, or Baseline Cost Work Scheduled. And then there is another horror story, try to find that field in a Dutch version of the tool. Because it’s called differently there as well: GKGW or “Geplande Kosten Geplanned Werk”. Once you have; rates, baselines and a status date in place. And you have a view in place such as the one I showed you in the last section. You are good to go… update the schedule periodically! I cannot stress this enough, please people update that schedule. It is a sad thing if you took 2 hours of your day to create this amazing schedule that was the absolute foreseeable truth about how this project would evolve… and you print it out to never look at it again. Take appropriate moments in time to update the schedule and take actions accordingly. For a schedule that may take multiple years to complete that might be quarterly, for a schedule of just months you might want to do a bi-weekly update and so on. Now for the “correct way” to update any schedule here are some pointers. Do it on a regular basis. I don’t care how often, but look for a meaningful timespan to have passed before interrogating your team members “did you finish X already? I need to update my schedule for Earned Value metrics!”. That just makes you a creepy PM instead of a celebrated one. Usually you would look at the complete project lifespan, if it’s just months you would update weekly. If it is a project that spans years you could go for a monthly/quarterly update. Make a decision if you want to work with Physical % complete or the normal % complete fields. Make sure you reset your status date to the date that you are actually updating the schedule. EVM is performed based on that date, not the current date. Update all tasks that have work/costs in the past. Give them actuals or move the task to a future date. You cannot have work that had to be performed in the past, we are no Dr. Who and we won’t be able to time travel! On that same note, we cannot move to next month and complete work in that time period (we might have missed that winning lottery ticket, would be a shame to miss that chance right?). Take your time to update the schedule. If there are new tasks, make sure you add a baseline for those tasks as well, we want to have a complete overview of all work and costs. Don’t forget to save (and publish if you are on Project Server or Project Online). So now we have a good understanding on how to work with EVM, but we still want to share our new found knowledge, without sending your CXO to my blog to read it himself. So let’s create a great new report that fits on one page and will be easy to read for any management that asks “how is the project doing?”. I will take a standard big project template that can be found using the Office Templates in MS Project, and do some changes in order to get some valuable data to report on. The project file that has the report and GANTT views can be found in my TPC followers onedrive. All you have to do is follow The Project Corner, use a valid e-mail address, and I’ll send you access. Having a better knowledge of Earned Value after reading all the above you might like to know if Project Server or Project Online has some nice EVM additions compared to the client application. Sadly the EVM hasn’t gotten a fixed place in the server yet. Andrew Lavinsky did a extensive 3 part blog serries on creating the EVM report that doesn’t come with the server. The only thing you will find are a number of (very useful) views on Project Center and the browser views on a project. All views use the Project Professional names for the EV field such as “Baseline cost” name instead of “BAC”, for a reference take a look at the table earlier in the post. There are no out of box reports for Earned Value, everything should be custom created by third party companies or your own Administrator(s). An administrator could also rename fields within the views on Project Server / Project Online, making your EVM experience more enjoyable. Earned Value Management and Agile? Would it be possible or even desirable to have EVM in an Agile schedule? I asked myself this question because the new scheduling method is hot and all the buzz at the moment. So here is what I could find, I’m not going to go into too much detail because this post is already starting to grow into a small book… But I found some interesting bloggers and PDF’s that might give you some insight on the matter of Agile in combination with EVM. That’s it, another extensive post, and you read all the way through it! Thank you for sticking around. I hope you enjoyed reading it, and maybe even learned some new things. Now let’s get back to one of the first questions I asked in the blog, why do most of my clients stay away from implementing it in their organization? I think the size, and the work I had to put in this post explains it a bit. EVM is not for the average PM I encounter. You need to be on top of your schedule, your team and your organization to get the full benefit of EVM. That being said, it also needs to be said that putting in the effort might be worth it. Like Matthew said in his video, you will be able to give that elevator pitch without stuttering to your CXO. You will not only come across as, but are actually in control of the schedule. You know what is wrong and what needs fixing. Awesome! And maybe you have that one-pager report I created for you already printed out to drop on his desk the same day. many many thanks for that great post. What I specially like is the structure and that you show all the prerequisites for using EVM. Also the mapping of fields and terms is really nice! Would be interesting to know how much EV method is used in project steering and reporting. Any ideas about it how accepted it is at client projects? Erik, as I have commented to your reading invitation at linkedin, you have to watch out for bugs in Fixed Cost reporting with MS-Project that may disrupt the confidence in Earned Value! In your post at https://www.linkedin.com/hp/updates?topic=6052031452747481088 I will be adding the link to the vimeo video I am uploading demonstrating such bug. Please try that at home and let me know if you can replicate it.